Origin and Habitat: Mal Paso, Potosí, Bolivia. Altitude: Around 3600-4000 metres above sea level. Habitat: It is found in high, dry, rocky grasslands in valleys and rocky slopes of the Andes in fully exposed sites. Inhabitants must be very rugged in order to tolerate such extremes in exposure. 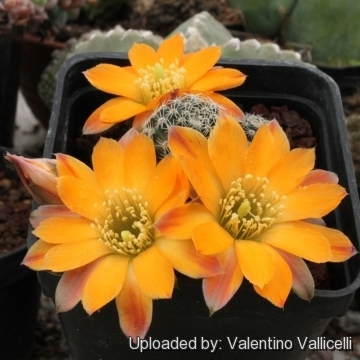 Rebutia rutiliflora is such a robust individual. 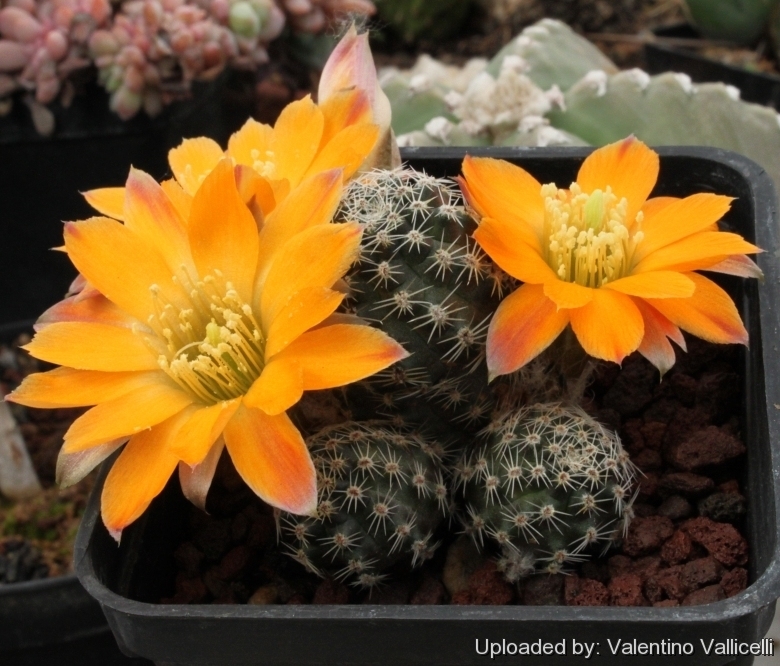 Description: Rebutia rutiliflora is one of the many geographical forms of the extremely variable Rebutia pygmaea. It has bright orange flowers. Areoles: Oval, 2 mm long, with abundant white or light brown felt, a little far apart. Flowers: From the basal parts of the stem, widely funnel-shaped usually orange. 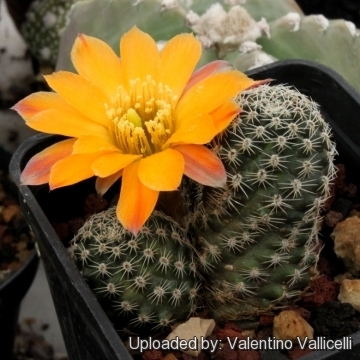 Cultivation and Propagation: Rebutia rutiliflora is a summer grower species that is easy to cultivate and recommended for beginners. The whole Rebutia pygmaea complex has delightful flowers and the plants remain compact, and clumps can easily be managed by division. Another advantage is that the plants are very cold hardy in Winter if kept dry.